The Federal Reserve Banking system is a form of slavery. Here's my take on the political crisis and economic inequality we have found ourselves in here in 2017. We have been told forever it seems, that to solve a mystery, follow the money. So when you follow the money flowing within America's history it becomes clear that who gets to create money is at the root of all this. Hence, America's history centers around money and war. The Revolutionary War came about because King George noticed that Americas were becoming prosperous, and demanded taxes paid in British Pound Sterling. Problem was America at the time was becoming wealthy using currencies/scripts created in America and had very little access to Pound Sterling. Resulting in the Revolutionary War. The next economic crisis was the War of 1812 caused by England imposing trade restrictions between USA & France. As well the Brits were jealous of America's prosperity and wanted to maintain British economic superiority. The Civil War was not only about slavery but it created an economic storm that is rather telling. Lincoln needed money to fund the war but British banks would not lend to him, so he went around them and started printing his own currency that became known as Green Backs, a term still used today. Creating his own currency the north won the war and became prosperous. I feel that creating this currency resulted in his assassination as the banks wanted the ability to create their own money via fractional reserve banking. From the end of the Civil War many banks went bust because of fractional reserve banking and greed. This of course could not stand as citizens were complaining loudly. So in 1910 an effort to stop these constant runs on banks a plan for a central bank was drafted. Drafted in a secret meeting on Jekyll. In attendance was Senator Nelson Aldrich, Frank Vanderlip of CitiBank, Henry Davison of Morgan Bank and Paul Warburg of the Kuhn, Loeb Investment house. In 1913 Woodrow Wilson signed into law the Federal Reserve Act of 1913. The bankers plan wanted a Central bank owned by bankers with the ability to essentially create money out of nothing. I am leaving out a lot of details but in essence they created a debt based economy where money is created thru debt/loans. This is really a ponzi scheme, and the underlying mechanism that has created this gross inequality we have today. In this debt based economy money is created when we go and borrow money and is destroyed when we pay it back. The problem is the banks want interest on the money they loan. Banks fail to mention that money for the interest was not created when you take out a loan. So where do you get the money to pay the interest. Somehow borrowers have to pay back banks money they did not have in the first place plus interest. In this system someone has to loose & or the economy MUST grow enough for people to acquire by what ever means enough money to pay the interest & principle. This is also the reason our Dollar buy less and less as years go by. On June 4 1963 Kennedy signed an executive order for the Treasury to issue Silver certificates. Creating money via the Treasury as dictated by the Constitution could not tolerated by the Federal Reserve Bankers. Some believe this is the reason for his assassination. Here is one theory I borrowed from Wikipedia. One theory was penned by Jim Marrs, in his book Crossfire, presented the theory that Kennedy was trying to rein in the power of the Federal Reserve, and that forces opposed to such action might have played at least some part in the assassination.Marrs alleges that the issuance of Executive Order 11110 was an effort by Kennedy to transfer power from the Federal Reserve to the United States Department of the Treasury by replacing Federal Reserve Notes with silver certificates. Considering the history from King George days till now and the efforts of Bankers to install a central banking system the theory may be plausible. The western Central bankers want desperately to control the creation of Money. This becomes apparent when you consider what happens to countries who sell oil in other currencies other than US$. 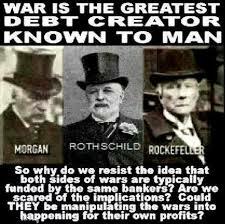 Iraq, Libya & Afghanistan they were all selling oil in other currencies than US$. Bankers also have Iran & Venezuela in their sites for the same reason. The Trump administration is continuing efforts to protect banks control over citizens by enacting legislation or executive orders that remove the peoples right to sue banks via class action for predatory practices. The 1% own the Federal Reserve. They want total economic and political control over We the People degrading us to slavery. Democracy in USA is Dead and has been for decades. Been doing some study and reflection about our "Democracy" since November 9th 2016. My conclusions are not encouraging for Democracy in America and the western world. The two most critical issues that we need to address are the banking/monetary system and electoral reform. Without addressing these, no real change in our Democracy and human condition can happen. Some how we have allowed corporations to gain control of government rather than the citizens. As it turns out a small segment of citizens, with their money, nominate the candidates we elect. This elite group does not care who we elect as the fix was in at the nomination process. This Ted Talk video explains the realities of our election process. https://youtu.be/PJy8vTu66tE . Harvard Professor Lawrence Lessig makes the case that our democracy has become corrupt with money, leading to inequality that means only 0.02% of the United States population actually determines who's in power. Lessig says that this fundamental breakdown of the democratic system must be fixed before we will ever be able to address major challenges like climate change, social security, and student debt. This is not the most important problem, it's just the first problem." I agree with Lessig that this is the first problem that needs to be fixed before anything meaningful can happen. Once we have a system for the people by the people we can then address the following issues. First before I delve into each of these issues, here is my take on things as I see it. We have to keep in mind during this discussion that our Democracy is really a facade perpetuated and supported by both Democrats and Republicans. For all intensive purpose there is no real difference between either party, until now. With the election of Trump & GOP guided by the ideology of Steve Bannon and the "Christian" right is steering us towards a totalitarian fascist state. Mike Pence, Greg Gianforte and Betty DeVos to name a few are proponents of the "Christian" Right who seem to want to impose their misguided religious beliefs on the entire country. To understand how evil this is you must read Chris Hedges book, American Fascists - The Christian Right's War on America. He also has a great videos on Youtube. Check this one out https://youtu.be/xLaoJrg80JQ. Hedges, a Pulitzer Prize winning journalist for the New York Times, describes in his book, how over the past few decades how big Evangelical Churches use proven brainwashing techniques to influence congregations to blindly accept authoritarian edicts. Republicans have taken these "Religious" leaders like Mike Pence, Greg Gianforte and Betty DeVos into their fold and employ the same techniques with followers. A contributing factor why Trump supporters will never see the truth as they have become blind to the truth. Read Hedges book to get the whole story. The Democratic Party is left scratching their heads after November 9th 2016 and wondering what happened. Not withstanding the strong possibility that the election was rigged by the GOP & Russia the Democrats did make critical mistakes. America wanted and needs real change. But Democrats fatal mistake was to nominate Hillary Clinton. I voted for Hillary Clinton as the more qualified candidate to be President than Trump, but Hillary & company did not have a new meaningful message of real positive change. This is why the .02% of the population who actually picks the candidates chose Clinton over Sanders. Sander's message was too progressive for the centrists 2%. If Democrats had run with Sanders I believe he would have won the election as many Trump supporters would have flipped because if they wanted anything it was change. Unfortunately the .02% would not tolerate his progressive ideas like Universal Single User Pay Public Health Care Insurance. It is my belief that the political left, be it the Democratic Party or some other new party needs to create a platform of real positive change. a. Eliminate the Electoral Collage - In today's world we can't have Presidents who win the popular vote but loose the election. This has happened twice dividing Americans. b. Take Money Out of the Political Equation - We need change the act of choosing Candidates back into the hands of Citizens and not Corporation. Somehow we need to select the best qualified candidate rather than the one with the most money. Publically funded campaigns will be needed. c. Limit the Duration of the Election process - Trump has now started campaigning for 2020. Perpetual campaigning has to stop. Most countries limit campaigning to only 6 weeks before the election. I for one want my representatives to spend their time governing rather than campaigning for dollars striping them of their political independence. This perpetual campaigning favors only the rich as the cost of being elected in today's America is prohibitive to all but Billionaires. 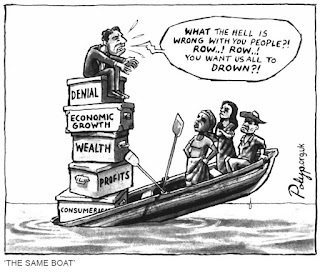 Our current monetary and banking system is the root cause of the western worlds income inequality. Besides the obvious problem of creating a huge income inequality, is the fact that for the current debt based system to work there has to be constant economic growth. Just like any ponzi scheme the perpetrators have to keep finding new money to pay back investors or the scheme collapses. The economic crisis in 2008/09 was a direct result of this system and the tax payers had to bail them out. Now the new administration has removed the Frank/Dodd banking restrictions designed to prevent another meltdown. With the USA already $20 Trillion in debt the next crisis will be catastrophic and will basically turn America into a 3rd world country. The American Tax Payer should not be borrowing money from private banks and have to pay interest on money the banks never had in the first place. Why should we when we can instruct the Treasury to print any amount of hard or digital currency it wants. Granted we would need some strict oversight by Congress on the mechanics of this system. Abraham Lincoln did this to pay for the Civil War. It worked just fine, until "they" had him assassinated. So it has been done before successfully. There are many models of banking some of them actually working now. The Bank of North Dakota is a state owned and run bank where the profits go back to the people is one that is actually working. https://en.wikipedia.org/wiki/Bank_of_North_Dakota. Here are some great links that endorse this form of banking. The current system of Banking is a modern day form of slavery. Concerned only with making money for the rich rather than improving the quality of life for the majority. The institution of banking has become what the bible described as Usury. Too bad our new Administration is not familiar with that concept. Which is surprising as they purport to be Christian. Another serious problem our economic system creates, and maybe the most critical problem is the fact that economic growth and burning of fossil fuels go hand in hand. The more economic growth the more CO2 is produced and the main cause of global warming. So the NOW equation looks like this. So the NEXT is; the human race has to answer this question; How do we use the tool of Democracy to adjust the mechanics of the economy that get us to SUSTAINABLE? Well the first thing you need is obvious, we need a Democracy. So how do we do that? We need to pass Federal Legislation that will implement and ensure the Electoral Reform discussed earlier. Democracy is the very first step to a Sustainable society on Earth. Democracy is the best tool we have that can adjust the Banking and Monetary system. 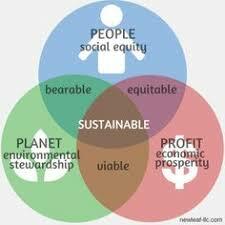 If the citizens of the planet cannot get this done it is highly unlikely that leaving this task to the 1% would. 4. Health Care - Health care is a right. America must support Public Single User Pay Universal Health Care. You can have healthcare or insurance but not health insurance. The only reason why America does not, is simple. Our politicians are mean, greedy and beholding only to their corporate insurance masters. In the long run lack of health care will be an economic disaster for America as it will not be able to compete with other countries economically as too much of GDP will go towards Health Care Insurance. I now live in Canada and have adequate health care. It's not perfect but it's a huge improvement from the American system, to which my parents lost everything to in the 60's. 5. Education - It can be argued that Public Education is what made America great. Public education is the tool that gives business qualified and competent workers and informed citizens able to perform independent critical thinking. But unfortunately Conservative state and federal governments over the past three decades have under funded education. This has left America with a work force without the skills necessary for jobs today and tomorrow. Lack of education is a contributing factor of income inequality. The actions of the Trump administration's Secretary of Education Betsy DeVos, is totally reprehensible and criminal in that they are imposing their misguided religious beliefs and doctrines on all Americans. So much for the separation of Church and State. Mike Pence, Greg Gianforte & Betsy DeVos are supporters of the radical "Christian" right. If they had their way only schools who teach creationism and the "science" that teaches children that Man walked with dinosaurs is criminal in my view. I do not favor any public education dollars going to any private schools as that would make them public schools. If rich people want their private schools they can pay for them. 6. Gun Control - This is just out of control in USA. I grew up in the mountains Montana. We went hunting. One year we even had to kill 8 bears that the Park service were dumping behind our place and coming into our yards, because they were getting in trouble up at Glacier Park and were used to people. So we needed those tools. Living in Canada now I sold all my weapons back in the 80's as I just do not need them. Americans are so paranoid and fearful they THINK they need a gun. I also notice a disturbing trend that Americans treat weapons like toys rather than tools. If you need a tool you should have one. If not, I am of the view that you can have as many guns you want as long as they use the fire arm technology available the year the 2nd amendment was created. Fewer Guns, Less Poverty, Better education = Fewer killings. Thinking you have, or wanting Democracy is quite different than actually having Democracy. We no longer have the need for 200 year old legislation like the Electoral College as our technology removes the need for it. Before November 9th 2016 I believed we lived in a Democracy. Now I do not. The shock of the election shook me to investigate and learn. I learned that we have become far too complacent. Complacent in trusting our, leaders, institutions, governments and corporations to do the right thing. I for one will no longer be complacent. The question is what do we do about this. Will the Democratic Party adopt these view? If not I will move on to a party that does. I am open to discussing these issues and working to a solution. OK! Back on Topic now. When I learned that banks don't actually have the money we borrow I did not believe how that was possible. Then when I discovered that the USA Government does not own or control the Federal Reserve system I thought again, how is this possible that the people of the United States of America are not in control of their own currency? Then when I learned that, We the People actually borrow money from The Federal Reserve that they make up from nothing then ask We the People to pay back money they never had plus interest. This seemed like an Alternative Fact" but it is not. Americans don't want to hear this but it's high time they and would do well to pay careful attention. This story is fifty years in the making. It begins November 1967 when my parents and I immigrated to Canada from the San Francisco Bay area. I was 14 years old as a freshman in high school. To say the least it was a shock moving from California to Saskatoon Saskatchewan. It goes without saying things were different. I was treated like an novelty at first is some ways. Canadians were more than happy to tell me the differences between USA & Canada. Many took exception that I was an American including some teachers. In a typical Canadian and polite way they chastised my lack of general knowledge of Canada. They took pride in knowing more about the USA than those stupid Americans knew about Canada. In retrospect it was the best thing for me, as I was really a stupid American then and I needed to learn something about my new home. It took me about a year to begin understand that maybe just maybe, America was just part of the world but not it's ruler. But I was still being a proud defensive American and I am sure I put my foot in my mouth often. Thank God I was in Canada and they were polite enough to forgive me. One summer I went on a fishing trip to norther Saskatchewan and Manitoba with a friend and his father who was an advertising salesman selling ads to all the hunting and fishing outfitters. Fishing was great making it a memorable summer. This was the summer where I learned exactly what the term Ugly American was referring too. We were at a small native village call Pelican Narrows. It sticks out because the first road to the town had just been built and the local kids had never seen a Plymouth Fury station wagon with gold metal flake paint and they were literally climbing all over it so that we had to chase them away to drive. It was explained that even though they had seen boats, planes, snow mobiles, road machinery and such they had never seen a station wagon. In the center of Pelican Narrows was a Hudson's Bay store. It looked like the original rustic outpost of the 18th century with an equally rustic sign. There were a few steps leading up to the porch where some loud Americans were chatting. You could tell they were Americans with their heavy southern drawl. We walked up to the steps to explore the store and one of them got the idea they should have their picture taken in front of the store. They then demanded that one of us "Boys" take their picture and right now dammit like we were a piece of property. When we started to walk away they offered to pay us! Which was even more repulsive. They were oblivious to their rude behavior. Ugly Americans. What I realized years later is that those guys were really brainwashed as most Americans are into believing that since they were Americans and America is #1 they had permission to be complete assholes. American propaganda is so good it is invisible to all but the most evolved. How can I be sure of this? When have lived in a foreign country for 50 years and upon hearing the American national anthem on TV or sporting event, promising yourself to hold back tears and cannot, this is a sure sign that you have been brainwashed. My irrational unstoppable emotional physical response evoked by a song for the past 50 years makes me conclude that for better or worse I have been brainwashed. And so have you. Realizing a hidden truth like this is makes one question, well, just about everything you have been taught is right. A question these days we should be asking daily. But how? American Propaganda. I know Americans don't see it, I didn't. Most Americans are too self absorbed, busy and trying to make ends meet to notice. I don't think it matters whether the propaganda was in a master conspiracy plan or it just happened as the natural course of Nationalistic evolution. What matters most is that you are aware that it is happening. 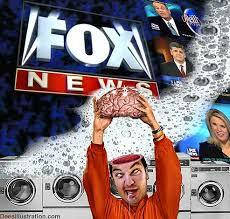 I eventually evolved to know I was brain washed and even now subject to it's patriotic tugs to this day. 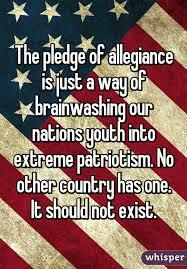 think of all the years in school you were forced to recite the pledge of allegiance. Then think of any concert, sporting event. The color guard brings out the Stars and bars and we have to cross our hearts, stand and then sing the national anthem and everybody has those patriotic tears. This happens over and over and over and over. Did you know that USA Military actually pay the NFL to be able to supply a color guard and military pomp at the games. Why is that? All in the name of patriotism. The constant bombardment year after year slowly seeps into your mind making you accept this as normal, without question. Propaganda exploits our genetically programmed desire to belong. Without the balance of independent rational critical thinking we risk "Alternate Facts" becoming accepted as truth. This unquestioned patriotism is extremely dangerous as we are now finding out. The conservative movement with their rhetoric of fear, hate and blatant greed are the result of the Brainwashing of America. Trump promised to empty the swamp but has put more billionaires into it than was there before. The GOP are perpetuating big money and banking which if you understand fractional reserve banking means they supply or make nothing but money. 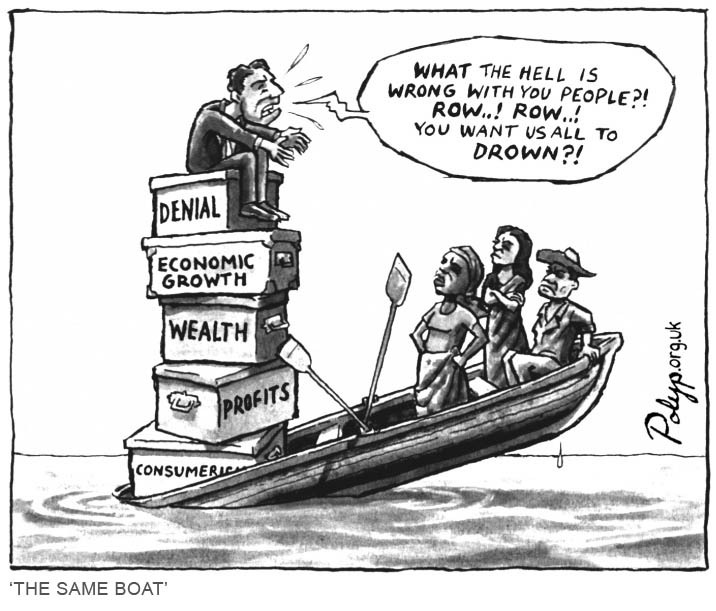 ZERO wealth or real production of goods into the economy, excepting the money trickles up to the top not down. Over the past few decades income and wealth inequality have begun to show it's ugly side and I believe the cause of all the social and political unrest that is rearing it's ugly head. In my view this is ultimately due to our our debt based monetary and financial systems in the western world. 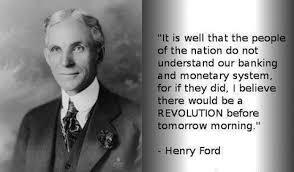 The Federal Reserve system was created in 1913 by Pres. Woodrow Wilson along with legislating a national income tax which many still view as unconstitutional. The Federal Reserve is not actually a federal institution. It was created because before 1913 many banks became insolvent due to lack of regulation, poor management and greed. Many people were losing everything due to runs on banks. So to correct this the banks essentially created a banking cartel that would loan each other short term loans at discounted rates in an effort to stop banks from collapsing. We call this Cartel the Federal Reserve. It is owned and operated by the nations largest banks not the Federal Government of the USA. Nobody wants to talk about this. We were never taught it in school. Why? Well when you actually understand how it works it turns out to be a gigantic Ponzi scheme that is really a form of slavery being perpetrated on our citizens by BIG BANKS. But Mike Maloney has produced a number of excellent videos on this topic that I have embedded into this site. Thanks Mike! These videos are well done and really worth the time to watch them, please do.